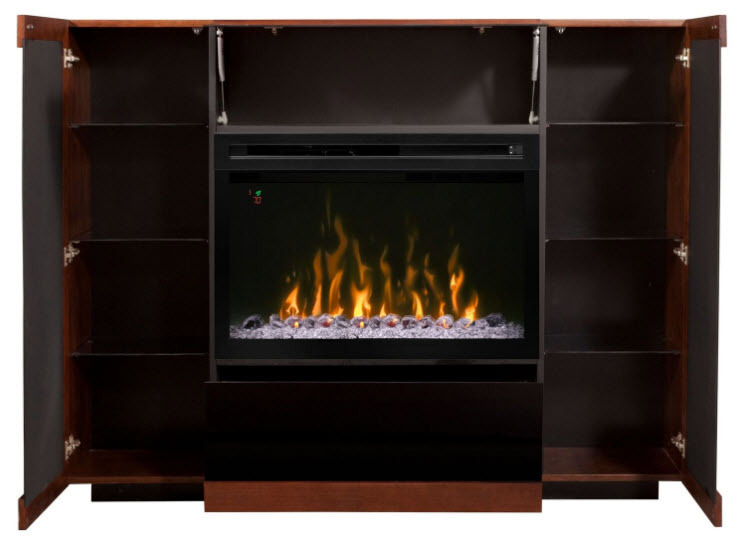 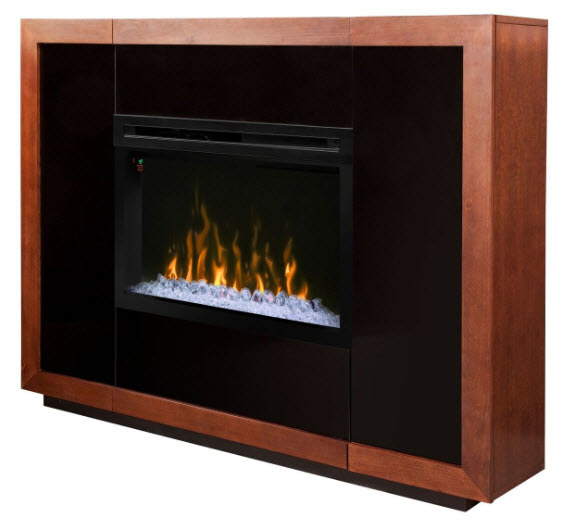 Cleverly concealed storage is the practical secret of the Salazar Mantel Electric Fireplace. 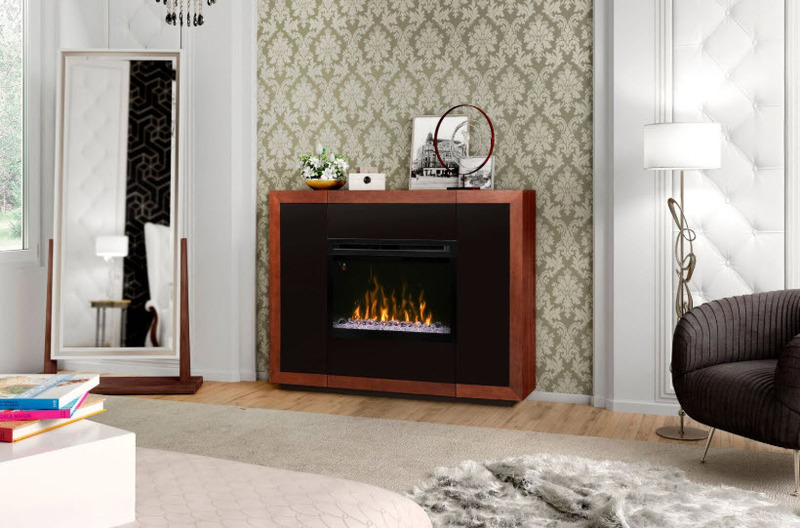 Featuring full height cabinets on both sides, a cabinet along the top of the mantel, and a convenient drawer along the bottom, there is ample functionality to compliment the clean design. 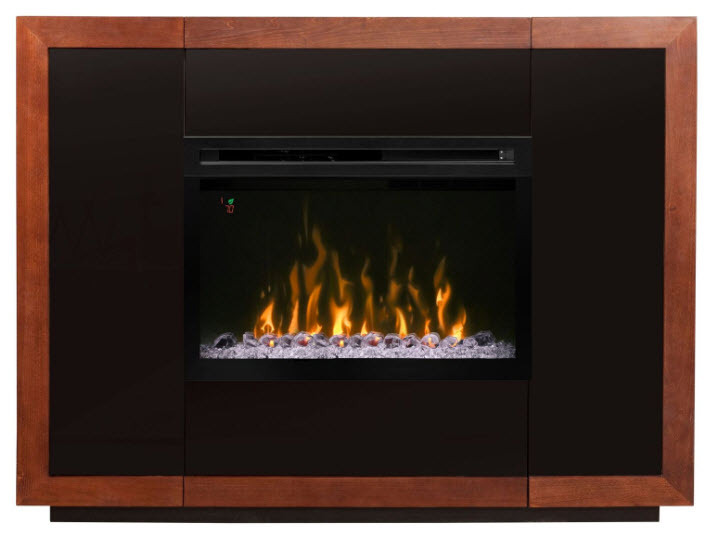 Surrounded by a High Gloss Black and Mocha finish frame, the Salazar mantel is a warm centerpiece for living spaces.